If you’re responsible for creating the “biggest solar powered computer in world” and it’s capable of delivering three fundamental services – clean water, electricity and the Internet – to the developing world, then you’ve probably got high ambitions. 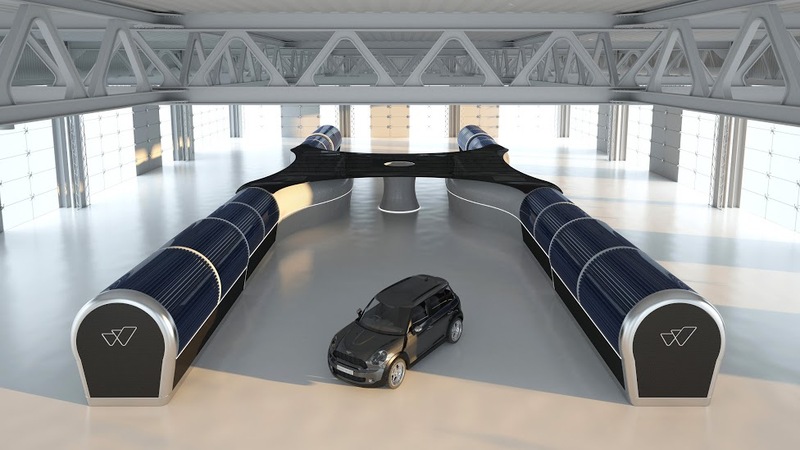 A generator that can supply a hat trick of the pillars of modern civilisation, Watly harvests the sun’s heat in order to purify water and its light to create electricity – and allow connectivity everywhere. Primarily concerned with helping communities in Africa, by serving as many needs as possible with a single machine without contributing to environmental damage, Watly also behaves as a vending machine. It sells those added value services – clean water, connectivity, a drone landing pad, electricity – with a pay-as-you-go formula. Marco’s ultimate goal is that enough machines are built to create their own network – and then their own smart-grid. We talked to the self-confessed evangelist about fixing the problem of accessible drinking water, why digging wells is patronising and the reasons women are more evolved. And he blew our minds. No matter how or where you live or what you have, you are human. All our dreams and aspirations look the same. Digging wells patronises people. A lot of NGOs waste millions as the well might become contaminated after one week or the solar or electric pump burns out because there is no maintenance. Low level solutions are not the progress people are looking for. My idea is not to use a wheel and a donkey to turn it, but before we can build high tech solutions in Africa, industrial investment is needed. Watly looks like a spaceship. Yet when we took it to Africa people welcomed it and understood its functionality in two minutes. You don’t look at a machine that tackles problems you face on a daily basis as an alien. You look at it like, “why don’t I have this already?” With Watly’s design we seek to convey beauty – something innate to all humans. I put all the money I had into Watly. In 2013 no one wanted to hear about a machine that could do this. I was not solving white people’s problems and the available money was white. So I put my own in – I had been working successfully in renewables since 2007. It was living in Barcelona in 2013 that I realised a basic fact… one billion people still lacked access to clean water. I realised I was looking at both one of the world’s biggest problems and opportunities – and assumed there must be a machine capable of functioning with solar energy and purifying water. But back then I couldn’t find it or even imagine it. Watly is water plus AI. Simple solutions that can sterilise or purify water don’t give people the technological solutions they want. By unifying water and electricity and internet connectivity you obtain a thermodynamic process. The generation of electricity empowers computers and servers and IoT devices, so that Watly behaves like a telecommunications device. Interlinked they will build the Energynet. The Energynet is the Internet of energy. It’s a network of intelligent machines that are computers and micro-power stations. They generate the same energy that they need to function. This revolutionary phenomenon will be embraced by hundreds of thousands of companies around the world. Every house can be a powerhouse. You don’t need a super-power station run by oil. We have computers that generate electricity through the sun. You need a lot of surface, but these don’t need to be flat solar farms. They can be anything – the roof of a house, a car, any surface. Photovoltaic surfaces will be everywhere – distributed, not concentrated. Revolutionary projects require a long sales cycle. Hyperloop (which has been talked about for five years) is at the same stage. I’m at the very beginning of my plan. We now have a 40-metre long machine. Next people will see how the machine positively impacts the community. It helps run toilets, washing machines and other services. My business is to be a lever. I want to start selling services to people through their consumption. One machine repays itself over time, so I can sell to businesses or governments. It’s like buying a plane. RyanAir buys airplanes to sell tickets. I am in the airplane business! I’m my own biggest competitor and best ally at the same time. The drive to better myself has been there since the beginning. And it’s not bettering myself against somebody else – it’s bettering myself against myself. I was abandoned by my original family. I was adopted at the age of 11. Before that was just the harsh reality of surviving. When you are nobody’s child, you have to prove 10x more than anyone else just to be at the same level. I am an atheist. I don’t believe in God, I believe in man, I believe in us, I believe in the singularity. I also don’t eat meat. That’s evolution. I am a transhumanist, I am an evangelist and I believe in the advent of the singularity. I am a man who evolved from a monkey. I’m limited by my body, emotions, my violent instincts. I want to be something else – an entity, with hundreds of thousands of others, possibly millions, that will eventually merge and create the ultimate artificial intelligence. The real AI will merge with humans. That is the philosophical and technological approach of transhumanism. Transhumanism is a new luxury. Some people will decide to spend their money not on a Louis Vuitton bag, but on some kind of enhancement of their body. Of course that is only available to people with money first, but like all technology it will become cheaper and cheaper. Never surrender means NEVER. The journey is difficult. A lot of young, talented people underestimate that and surrender after one year. This is painful if you are still a startup – you get emotional, these are your friends, not just colleagues. A lot of people don’t understand that ‘founder’ means often being alone. After you are mega-successful, then people might start idolising you, but before that you have to pass through a painful and solitary experience if you want to change the world. Women’s sensibility is what we should aim for. Empathy and emotional intelligence will transcend. Women are more evolved in this way – in collaboration, the pursuit of the wellbeing of all entities and the protection of our planet. When we become Homo Deus we will not be spending our money drinking beer and shooting ourselves, we will be contemplating the mysteries of the universe! My FuturePower would be a consciousness that you are part of everything. Living forever does not mean being idle, it means walking the paths of evolution forever to become a higher being. That is the reason why you have to stick around for a long time! 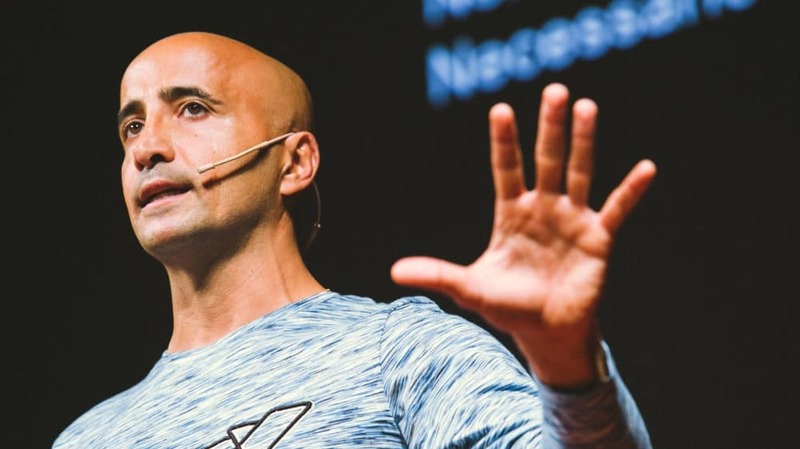 Watch ► Marco appeared at Atlas of the Future’s Barcelona conference: ‘Fixing the future: adventures in a better tomorrow’. Check out the video here.